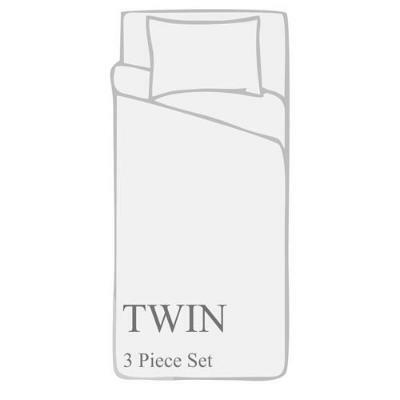 These pillowcases match perfectly with our sheet sets and are a perfect additional buy for many of you who have more than 2 pillows on the bed or just need an extra pair of cases! Slip a gorgeous all-season duvet cover over your current comforter or duvet for an instant bedroom makeover, or rotate two covers to reflect the season or your mood. 1 Flat / Top Sheet, 1 Fitted Bottom Sheet, and 1 Standard Pillowcase. 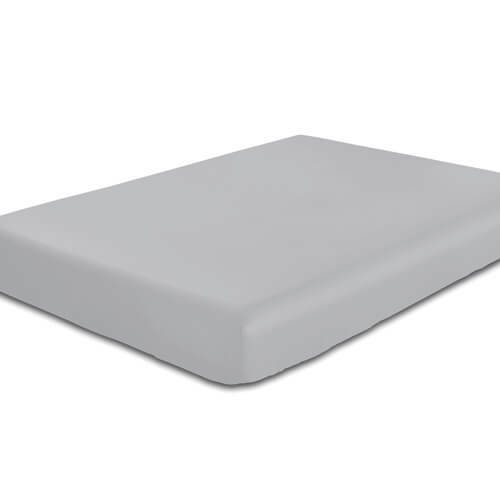 Designed to fit beds measuring 39 inches wide and 75 inches long. 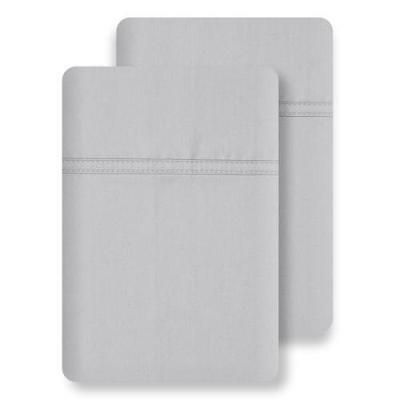 1 Flat / Top Sheet, 1 Fitted Bottom Sheet, and 2 Standard Pillowcases. Designed to fit beds measuring 39 inches wide and 80 inches long. 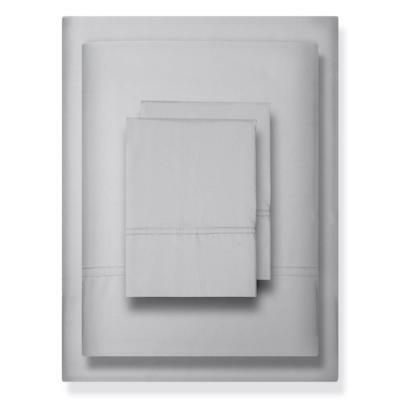 1 Flat / Top Sheet, 1 Fitted Bottom Sheet, and 2 Standard Pillowcases. Designed to fit beds measuring 54 inches wide and 75 inches long. 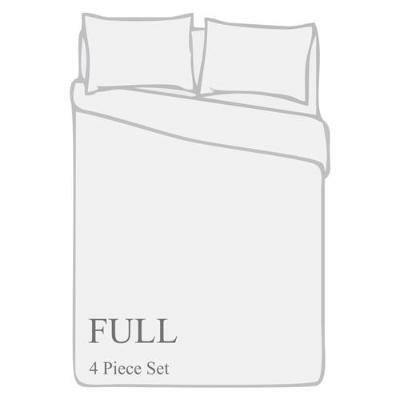 1 Flat / Top Sheet, 1 Fitted Bottom Sheet, and 2 Standard Pillowcases. 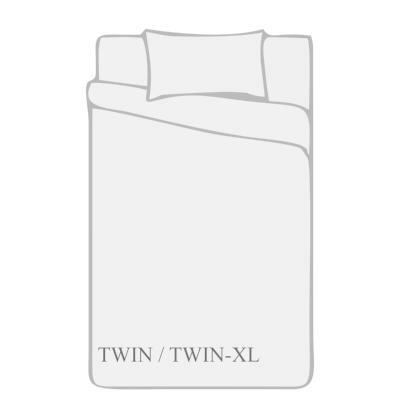 Designed to fit beds measuring 60 inches wide and 80 inches long. 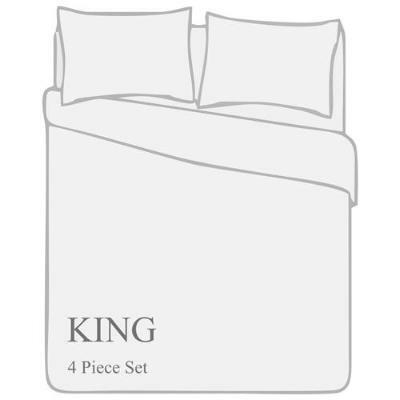 1 Flat / Top Sheet, 1 Fitted Bottom Sheet, and 2 King Pillowcases. Designed to fit beds measuring 76 inches wide and 80 inches long. 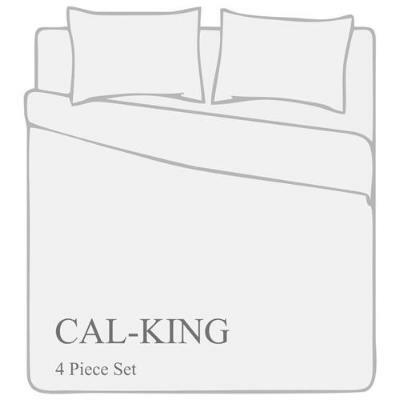 1 Flat / Top Sheet, 1 Fitted Bottom Sheet, and 2 King Pillowcases. 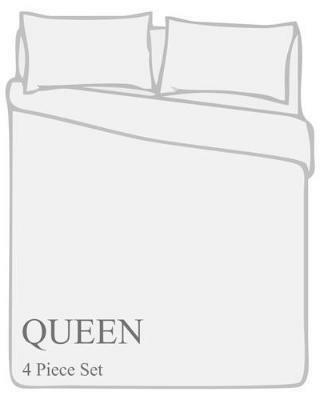 Designed to fit beds measuring 72 inches wide and 84 inches long. 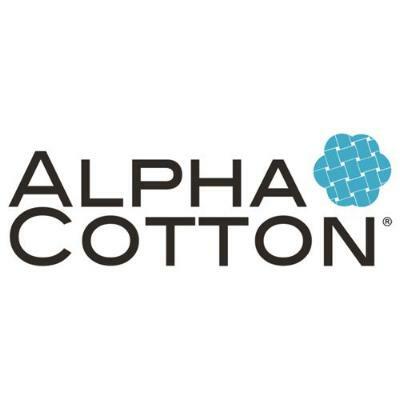 Patented, soft cotton rich sateen weave. Delivering good health, happy feelings, and the rest you need. Being the best in the industry is our goal. 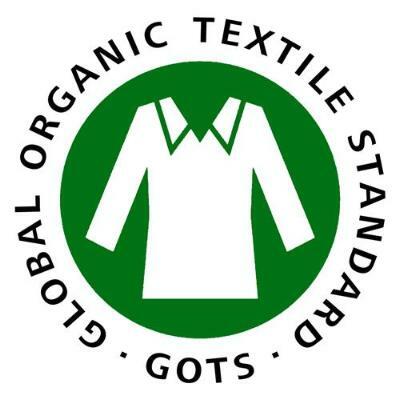 We support fair trade, the environment & workers’ welfare. 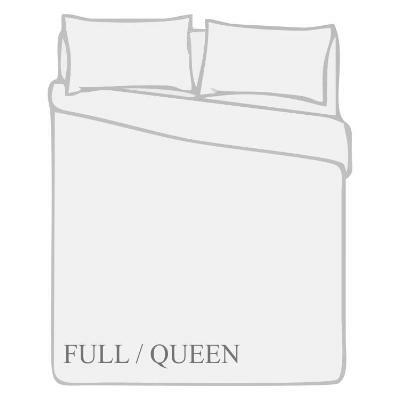 Overall Dimensions: Full/Queen Duvet Cover 90 in. x 90 in. 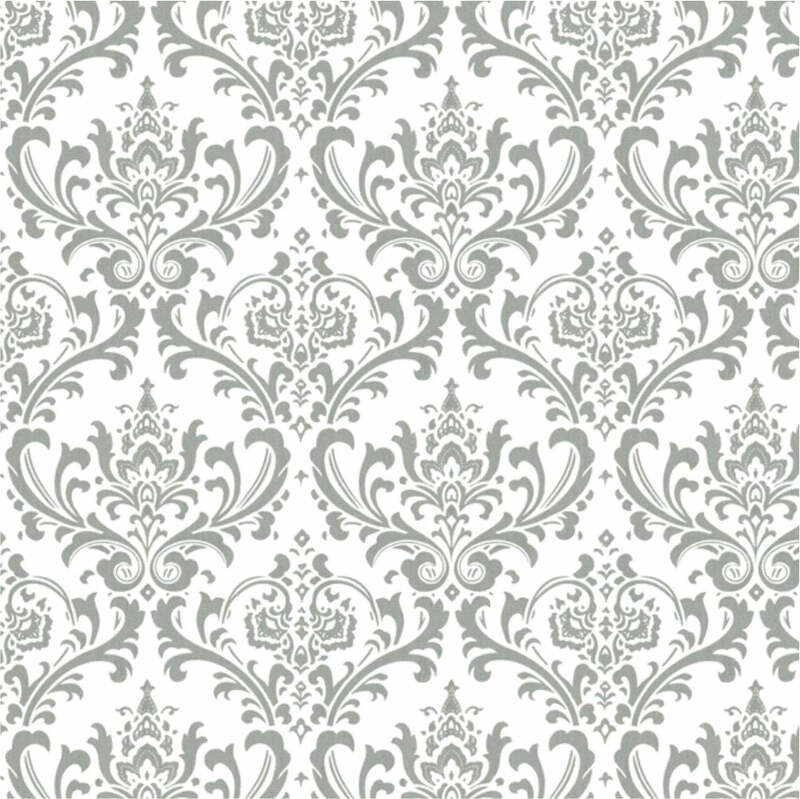 and Standard Pillow Shams 20 in. x 26 in. 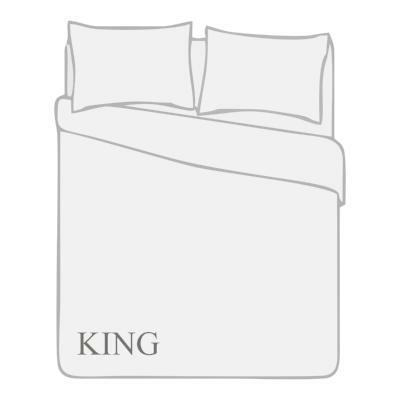 Overall Dimensions: King Duvet Cover 102 in. x 90 in. 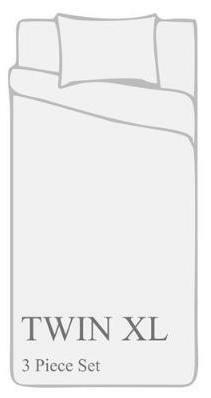 and King Pillow Shams 20 in. x 36 in. 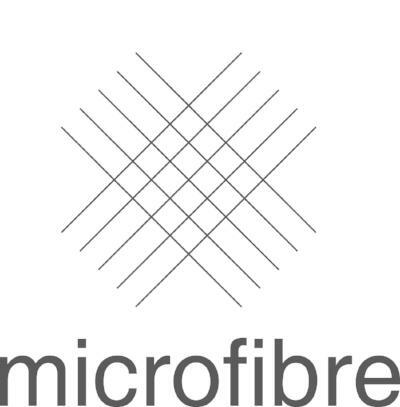 Sleep like a dream with our premium quality, soft and silky duvet sets in breathable, luxurious, 100% polyester. Slip a gorgeous all-season duvet cover over your current comforter or duvet for an instant bedroom makeover, or rotate two covers to reflect the season or your mood. 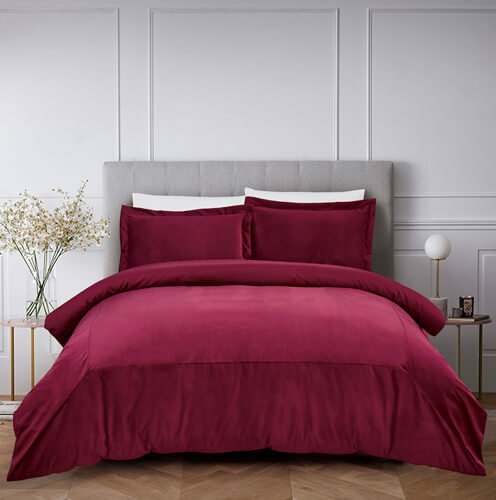 You’ll enjoy the smooth, luxurious feel and finish of a silk duvet or satin duvet with the breathability and effortless care of Egyptian quality polyester. 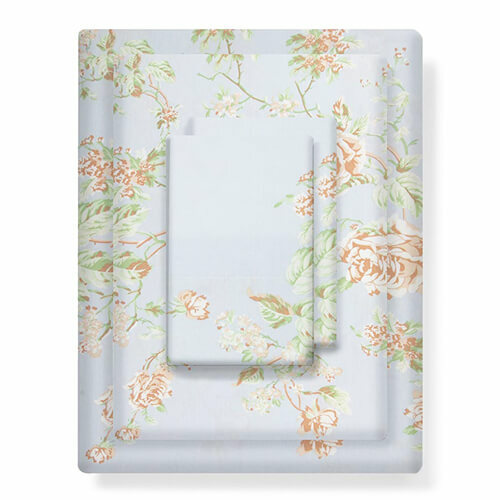 Each complete set features gorgeous matching pillow shams and handy internal ties to keep the cover in place over your comforter. Goodbye slippage and bunched up bedding. Hello, soft, stylish bedding that feels incredible and stays perfectly in place. 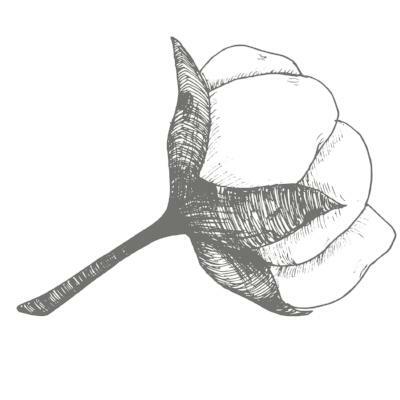 Our premium bedding is made simply and ethically with only the highest quality fabric. Calling all free spirits. Indulge your wild side with fresh, bright, and fashion-forward bedding. This pretty duvet cover set features an intricate crisscross pattern, vivid floral bands, and a crisp white background for that clean, airy look. Sign up and be the first to know about our best deals and new products. © 2019, California Design Den®. All Rights Reserved.